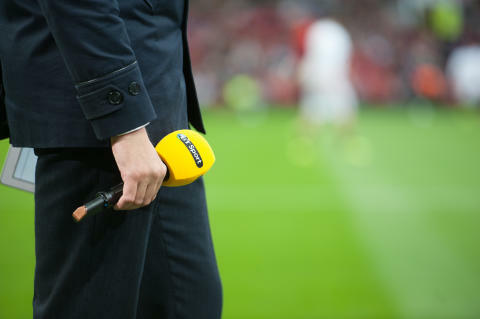 Football fans are set for a packed schedule of live Premier League action on BT Sport this December, with nine matches being shown across the month exclusively live, including the clash between Arsenal and Manchester United and fellow UEFA Champions League hopefuls Manchester City and Tottenham Hotspur. The match between Arsene Wenger’s Arsenal and Jose Mourinho’s Manchester United kicks off a packed month of sport in December at 5.30pm on Saturday 2 December. The month will also see the finale of the UEFA Champions League and UEFA Europa League group stages, as well as the Ashes cricket between England and Australia. The following weekend sees Newcastle United hosting Leicester City, at St James’ Park on Saturday, 9 December at 5.30pm, with Southampton hosting the BT Sport cameras as Arsenal visit for a midday kick-off on Sunday 10 December. BT Sport also offers up two midweek matches ahead of the festive season. First up will be Huddersfield Town taking on champions Chelsea in Yorkshire in an 8pm kick off on Tuesday 12 December. The following day at 8pm sees Arsenal take the trip across London for a match against West Ham United. The week culminates with a potential six-pointer when Manchester City and Tottenham Hotspur battle it out in a 5.30pm kick off on Saturday 16 December. Mauricio Pochettino’s men will return to BT Sport the following weekend as they head to the north west once again to pay Burnley a visit. That match kicks off at 5.30pm on Saturday 23 December. The final two Premier League matches of 2017 being shown on BT Sport will see Manchester United host Southampton for a 5.30pm kick off on Saturday, 30 December, ahead of the match in south London between Crystal Palace and Manchester City kicking off at midday on New Year’s Eve.